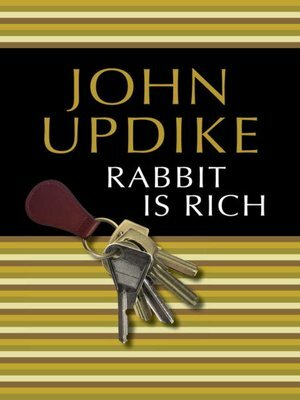 The hero of John Updike's Rabbit, Run, ten years after the events of Rabbit Redux, has come to enjoy considerable prosperity as the chief sales representative of Springer Motors, a Toyota agency in Brewer, Pennsylvania. The time is 1979: Skylab is falling, gas lines are lengthening, and double-digit inflation coincides with a deflation of national self-confidence. Nevertheless, Harry "Rabbit" Angstrom feels in good shape, ready to enjoy life at last--until his wayward son, Nelson, returns from the West, and the image of an old love pays a visit to the lot. New characters and old populate these scenes from Rabbit's middle age as he continues to pursue, in his zigzagging fashion, the rainbow of happiness.